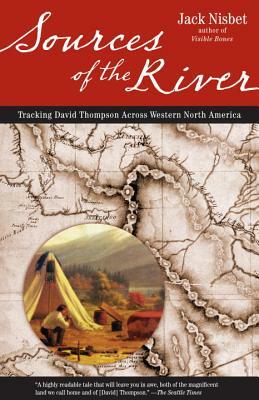 In this true story of adventure, author Jack Nisbet re-creates the life and times of David Thompson—fur trader, explorer, surveyor, and mapmaker. From 1784 to 1812, Thompson explored western North America, and his field journals provide the earliest written accounts of the natural history and indigenous cultures of the what is now British Columbia, Alberta, Montana, Idaho, Washington, and Oregon. Thompson was the first person to chart the entire route of the Columbia river, and his wilderness expeditions have become the stuff of legend. Jack Nisbet tracks the explorer across the content, interweaving his own observations with Thompson’s historical writings. The result is a fascinating story of two men discovering the Northwest territory almost two hundred years apart. Field biologist and natural history teacher Jack Nisbet lives in Spokane, WA.